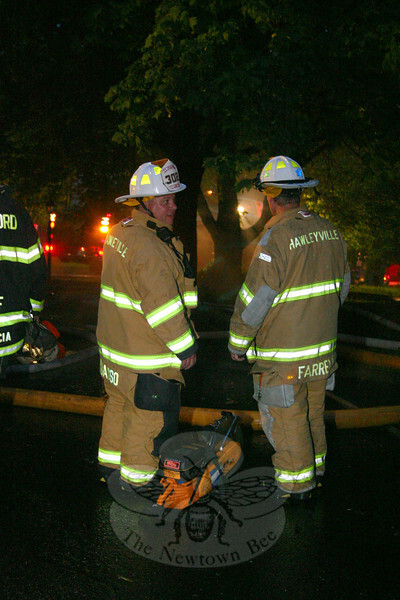 Firefighters from all five of Newtown's volunteer fire companies responded to a structure fire at 31 Great Hill Road shortly after 4 am Thursday, June 23, 2011. The house could not be saved. These are the photos that made up the slideshow that accompanied the story "Early Morning Blaze Destroys Taunton District Home," which can be found here: http://newtownbee.com/2011-06-23__15-01-07. All photos by Shannon Hicks/The Newtown Bee.